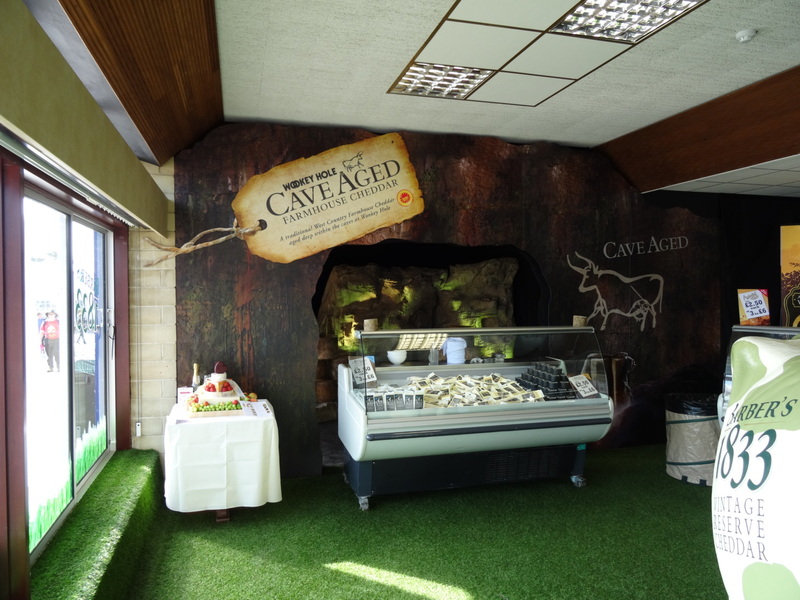 What a very busy and a very cheese orientated week it has been! Earlier this week I was in Somerset for the British Cheese Awards as an official Judge which is a privilege that was offered by Juliet Harbutt & Tanys Pullin. Having set up base camp at the Wookey Hole Hotel (Naturally!) 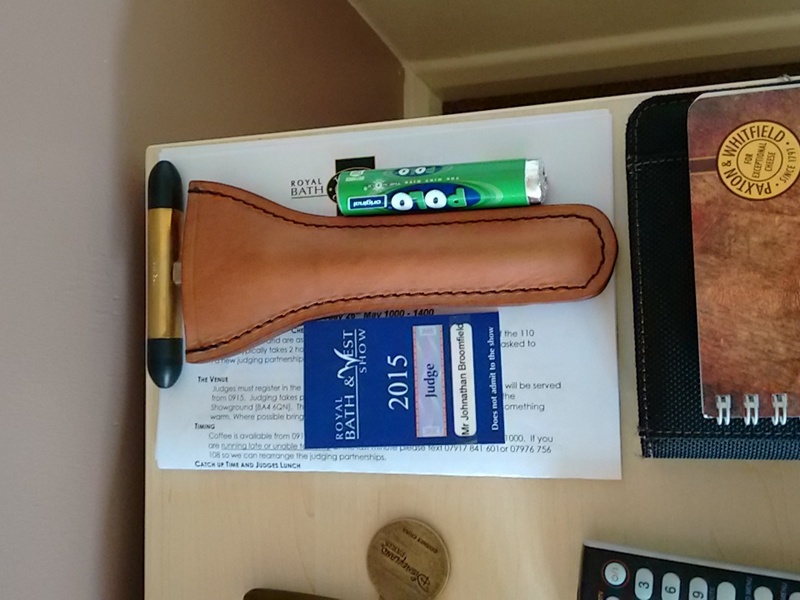 on Monday 25th I eagerly prepared for the next morning. Once ready an early night was in store as an early rise was required to make sure I arrived at the Showground within the allotted time which was 9-9.15am, and having set off from the hotel on a painless & beautiful drive I did in fact arrive with plenty of time to be able to mingle with my fellow cheese judges. The first lady I met was Tanys Pullin from Ford Farm who helps organise the awards and without her efforts it certainly wouldn’t be the show that it is. The next person I met was Jayne Hickinbotham who awarded me a certificate for a training course/ introduction in Butter Grading, I love Jayne she is so informative and even if dairy really isn’t your thing she can persuade anyone to convert. I also caught up with Greg Parsons from Cricketer Farm where I will be going in a few weeks time for the Somerset Cheese, Cider & Moozic Festival which I’m very much looking forward to. Justin Tunstall from Town mill Cheesemongers arrived who came and joined Greg & Myself and a discussion about social media soon came as Justin is a pro in that department. 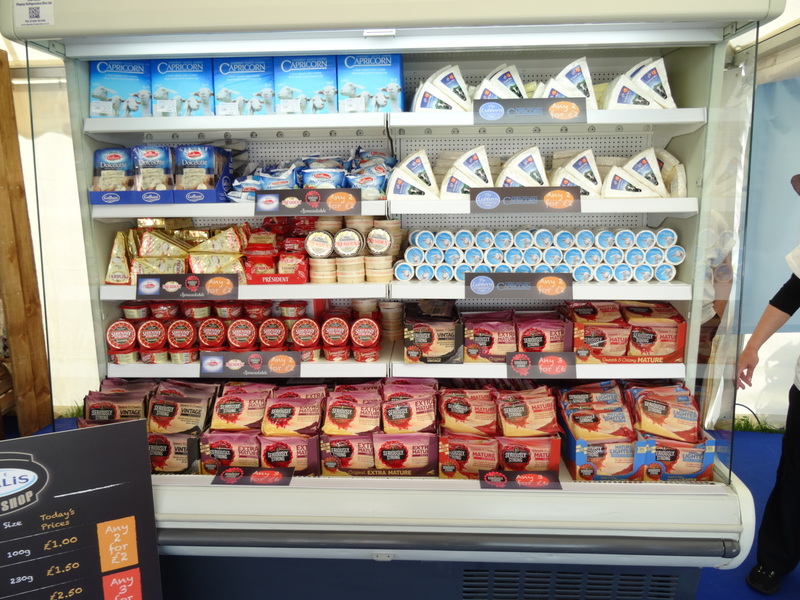 Philippa Godden a Waitrose quality & technical manager who I deal with through my job arrived and introduced me to Robin Skailes from Cropwell Bishop Creamery who have been making cheese since the 1800s. I have been emailing Robin recently to go and visit Cropwell Bishop which I will be within the next few weeks. 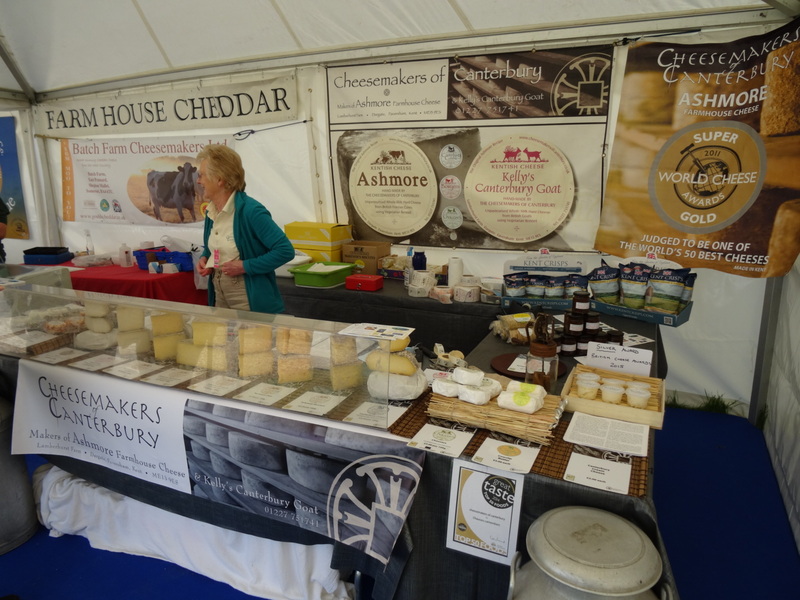 The clock soon turned to 10am and we were ushered down to the 1000 or so cheeses that were just dying to be judged, but before I went down I just had to say hello to Mary Quicke MBE who is a brilliantly passionate lady and runs Quickes Farm, and she said she has seen my blog! Which left me a little stunned being honest! I met up with my fellow Judge partner Paul Thomas that funnily enough I worked with for a day at Lyburn farm and have spoken to over the years. Having judged our categories we then proceeded to go for some lunch but it was short lived for me as I was called straight back down to re-judge a category. As I made my return to the cheese room I discovered I had to find an overall class winner for the semi-softs which I was quite excited about. This is when I met Kate & Kerena from Dairy crest who were both stewarding in the cheese room and take on a plethora of tasks during the judging & show. Kate & Myself with two other judges proceeded to the corresponding area to judge which of course I will not reveal how we marked or how we judged due to sensitivity and integrity of the British Cheese Awards but there was clearly one stand out competitor. Once we gave it more thought we came to a final decision we made some comments and handed the completed form into the adjudicators. Lunchtime was now upon us so Kate, Kerena and myself grabbed a table and we were then joined by Philippa and a gentleman called Andrew Skinner who runs TQS Food Consulting. We headed up to the buffet where we had a choice of chicken wrapped in bacon with a creamy leek sauce or a lightly spiced salmon fillet. I opted for a salad and a piece of salmon because after all that cheese you don’t really fancy eating a full cooked meal. After a good catch up we then opted to go our separate ways but not for long because the British Cheese Awards evening was only a few hours away! A short break away from the showground meant enough time to freshen up and put on a change of outfit ready for an evening cheesing it up. Arriving back at the showground Emma and Myself started heading towards the Judges and Members pavilion but not before a quick stop off to look at the Jaguar Cars! After dreaming we headed to the pavilion where we were greeted by a large congregation of people outside with their welcoming fizz kindly laid on by Harvey & Brockless. Emma & Me entered the marquee where we bumped into Kate & Kerena who I immediately introduced to Emma and we decided to sit with each other for the main dinner. While waiting for the rest of the guests to arrive I met up with Mike & Judy Smales from Lyburn farm who are good friends of mine within the cheese business and it was brilliant to be able to catch up with them both, we were then informed to take our places so we sat down and we were then joined by Dupont – Danisco, Singleton’s Creamery and Jane Bowyer & her Mother from the Cheesemakers Of Canterbury. The evening started with an introduction from Mike Pullin from Wookey Hole Cheddar with Juliet Harbutt following with an another introduction as well. The dinner then commenced which was also provided by Harvey & Brockless and it was a cold buffet style with the most delicious rare beef although there was a phantom salad flinger let loose! Once dinner had finished and the plates had been cleared the award presentation began which I won’t go into all the details but the Supreme champion was Barkham Blue and the full list of winners is available on the The Cheese Web here http://www.thecheeseweb.com/british-cheese-awards. 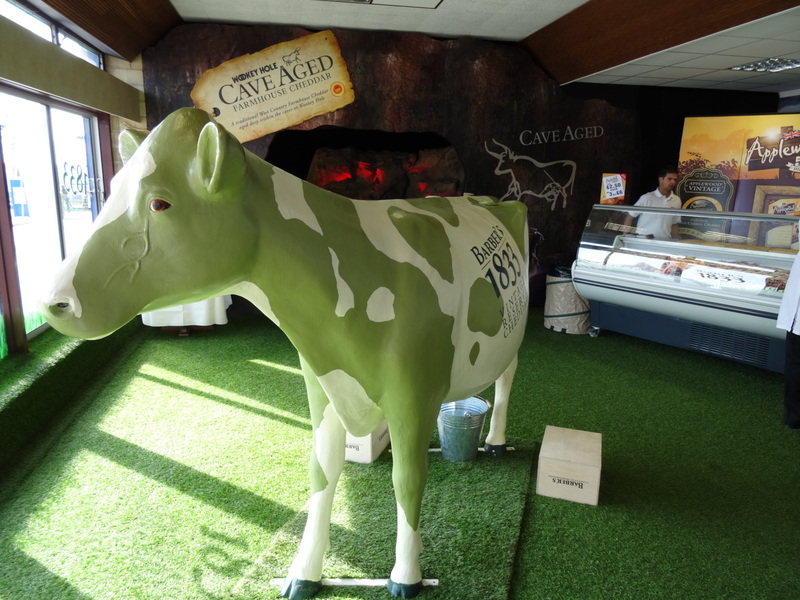 What was brilliant though was the fact Dairy Crest won an award for their Davidstow Vintage Cheddar which Kerena went up to collect and of course a photo was needed. 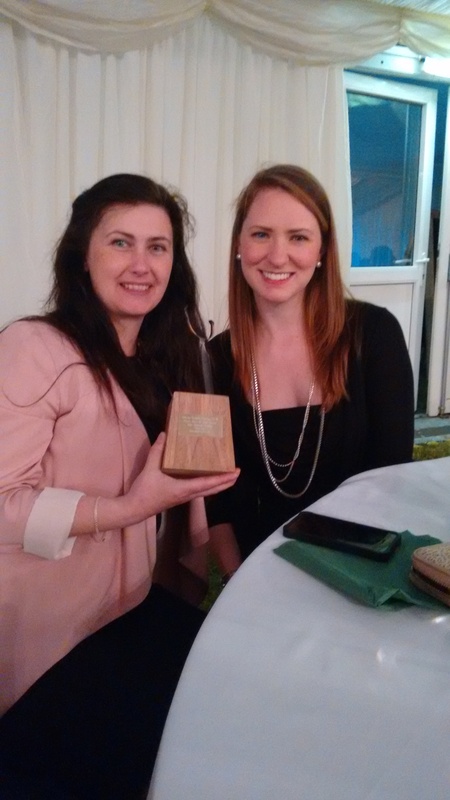 Kerena & Kate posing with their British Cheese Award. The table erupted with cheers as we finally had a winner on our table and the atmosphere within the marquee when the awards were being handed out was electric, and as I explained to Emma these awards mean a lot for the people, cheesemakers & companies that enter into these awards because it adds recognition for the customer. The logo that a cheesemaker can display once it has achieved recognition. With all the awards handed out apart from the top awards we were then allowed to have a cheese course which contained all the winners from 2014. This was at 10.30pm and the thought of nightmares loomed over all the enthusiastic cheese eaters! The cheese board was on a round table with 6 identical cheese boards with fruits, chutneys, decorations & biscuits spread throughout. It was the most spectacular cheese board I had seen although it did not last long once everyone started digging in. We finished our cheese and the final awards were handed out and the evening concluded with flowers given to Juliet & Tanys from Mike Pullin. The guests started bidding an adieu so I said goodbye to Tanys, Mike & Judy and I hunted for Mary Quicke as I have to go and visit Quickes farm soon and I just had to mention it again. On the door was Juliet Harbutt who was wishing her guests a good night and when it got to me I thanked her very much and Emma mentioned that she was proud of me to which she replied “He’s a rare breed this one, he is very knowledgeable in his field.” I thanked Juliet very much for her kind words and I left very proud indeed because It feeds me to continue further into the world of cheese. 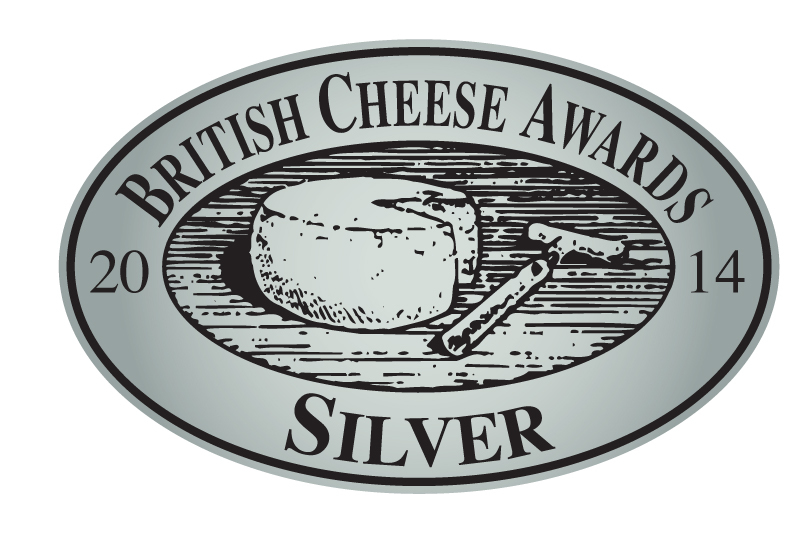 Having got into my car I proceeded to drive away from the British Cheese Awards 2015 and I very much hope I can return to judge again in 2016. 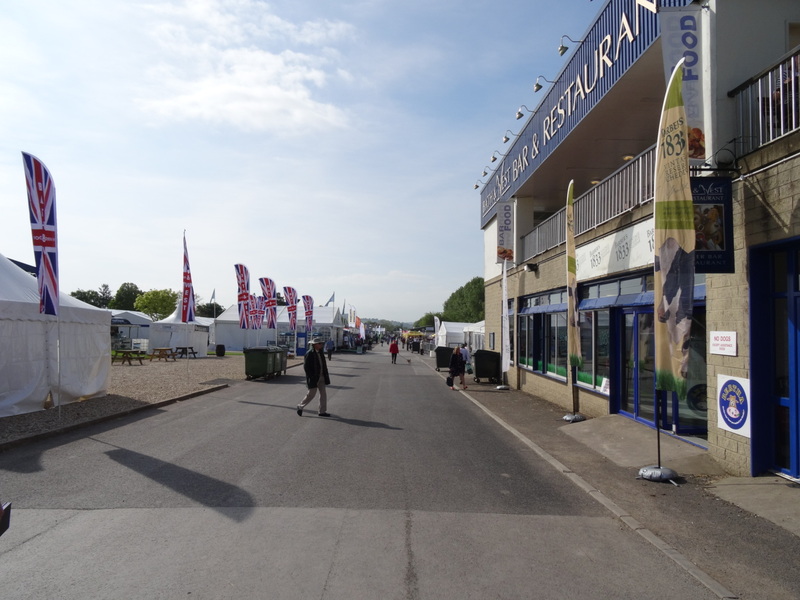 The next day Emma & Me visited the Royal Bath & West show for its 50th year opening day on Wednesday 27th May and I will leave you with some of our pictures from our day around the show. I hope you have enjoyed my judging round up and have a lovely weekend (Particularly if you’re visiting the show)!